At this year’s SMM exhibition, Baytek will be presenting the next leap forward in maritime segment innovation. Multi-touch monitors have revolutionised home applications. Functions such as zooming, scrolling, rotating and sliders are an enormous improvement in user-friendliness. A user-friendly and time-saving solution, multi-touch is an excellent way to facilitate monitor operation for crews in the maritime sector. Baytek supplies the hardware required for implementing this application. The unique operating function clears the way for a host of innovative new control concepts. 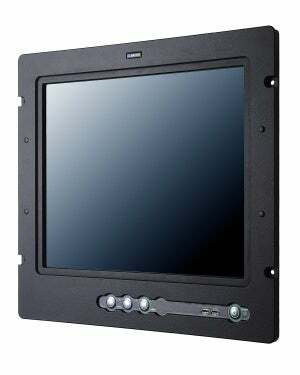 For example, using the slider function, crew members could create personal screen content from individual windows to suit their specific requirements. And that is just one of many potential features. There are, of course, applications – and indeed users – who do not need a multi-touch function. In these cases, users can also operate the new BPM monitor with single-touch control. Baytek’s maritime BPM monitors have been tested by Germanischer Lloyd and the Bundesamt für Seeschifffahrt und Hydrographie (German federal shipping and hydrographic authority, BSH) and awarded the ECDIS certificate in accordance with IEC 61174 and radar approval in accordance with IEC 60945. The official certifications awarded for the BPM monitors are recognised internationally.